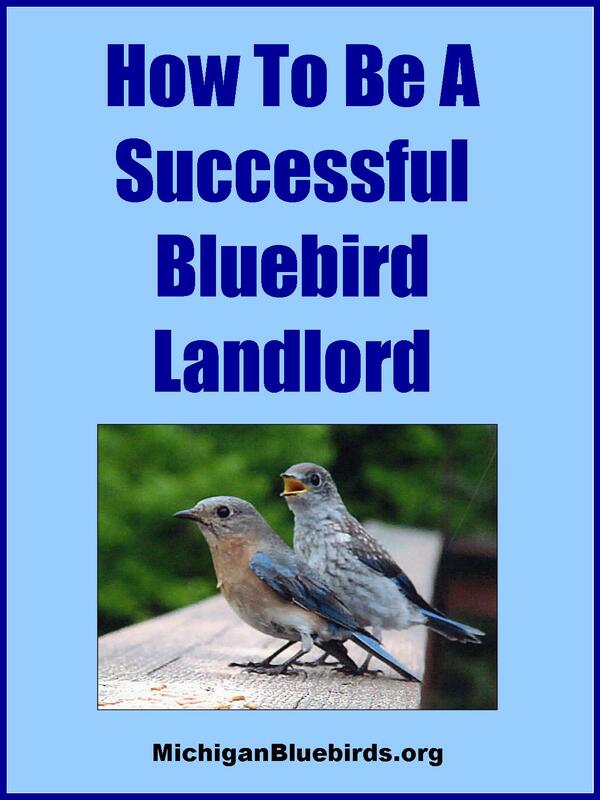 • A Bluebird Expert Panel Discussion - Get all of your Bluebird questions answred! 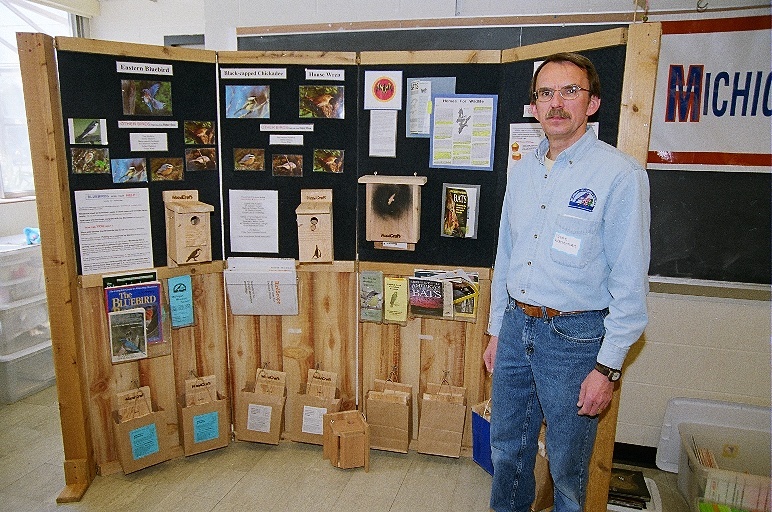 • Keynote Program: Author, biologist and native plant expert Doug Tallamy shows you how to create a thriving ecosystem for birds and wildlife in your yard! 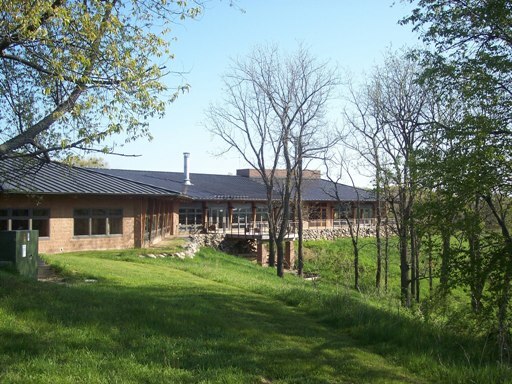 • Nature Hike, Kids' Activities, Prize Drawings and More! 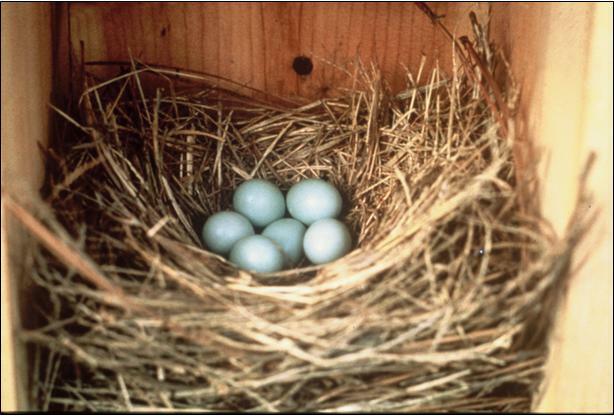 Cost to attend: There is a cost to attend the Keynote Program, lunch and/or nest box building workshop. For all other festival activities there is no cost. NOTE: Registration is now closed. THERE IS NOT A WAITING LIST. We may have last minute cancellations. Please ask when you arrive at the festival whether we have any openings. If we do have openings, the cost will be $5 for the Keynote, $15 for Keynote and lunch, $25 for the Nest Box Workshop. 6:00 PM - Welcome dinner at Blue Water, 5180 Northland Dr SE, Grand Rapids. Their website is www.thegilmorecollection.com/bluewater Have a good time with fellow bluebirders before the big day. NOTE: All reservations for the Friday night dinner have been filled. 9:00-10:00 AM – Registration, Meet and Greet, Coffee or tea - Talk to old friends, meet new Bluebirders, have coffee or tea. 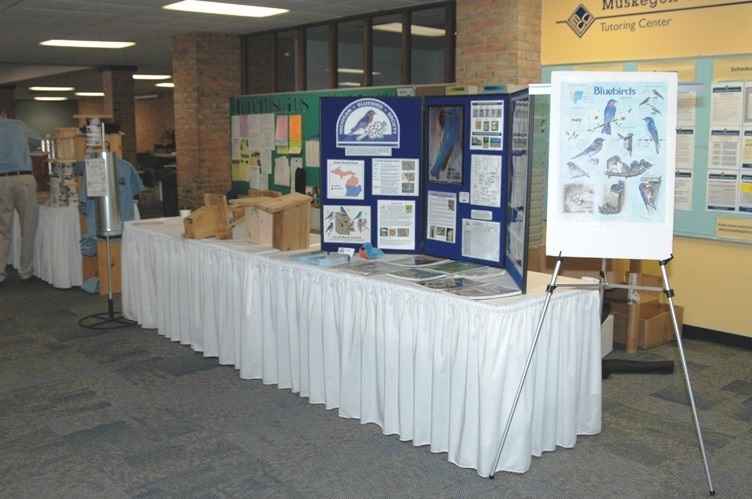 Visit the Michigan Bluebird Society Bluebird Expo including exhibitors, kids' activities and informational displays. The Michigan Bluebird Society (MBS) Store will be there and open all day. 10:00-10:30 AM - Annual MBS Business Meeting - J oin MBS President Kurt Hagemeister for the Annual MBS Business Meeting. Learn about MBS, our 2018 projects and achievements, and our plans for 2019. 10:30-10:45 AM - BREAK - Stretch your legs, visit the MBS Store, the Bluebird Expo, Kids' Area, exhibitors and informational displays. 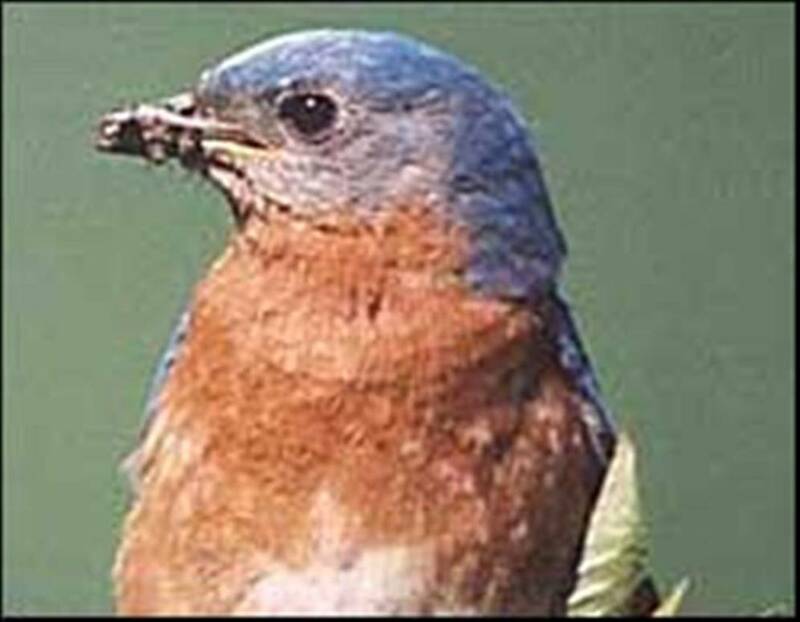 10:45 AM-11:45 AM - The Bluebird Question and Answer Session - Get the answers to your Bluebird (and other cavity-nesting birds) questions. Join our panel of experts for an informative question and answer session. Then sit tight - there will be a prize drawing immediately following this session! 11:45 AM-12:45 PM – Lunch - If you reserved/paid for a lunch (see how to reserve below), join us in the Great Hall. 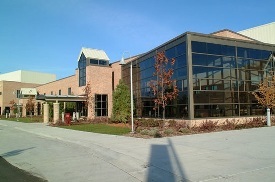 If you did not reserve lunch, there are nearby food options on the Calvin campus. Or just spend your time visiting the MBS Store, the Bluebird Expo and other exhibits. In either case get ready for an afternoon of great presentations which will start promptly at 12:45 PM. 12:45-2:10 PM – Keynote - Restoring Nature's Relationships At Home by Dr. Doug Tallamy - Renowned author, biologist and native landscaping expert. Learn about how specialized, natural relationships between insects, plants, birds and other wildlife can be created and nurtured in your yard as part of a diverse ecosystem. Sit tight - the second prize drawing will immediately follow this presentation. 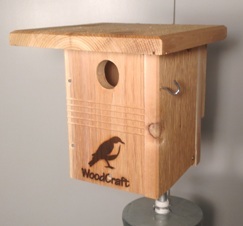 2:00 PM and 3:30 PM - Nest Box Building Workshop - Cost is $25 per nest box kit. ONE KIT per family please. Supplies are limited. Interested attendees need to register and pay for the workshop on our registration page. 2:10-2:20 PM - BREAK - Visit the MBS Store, the Bluebird Expo, Kids' Area, exhibitors and informational displays . 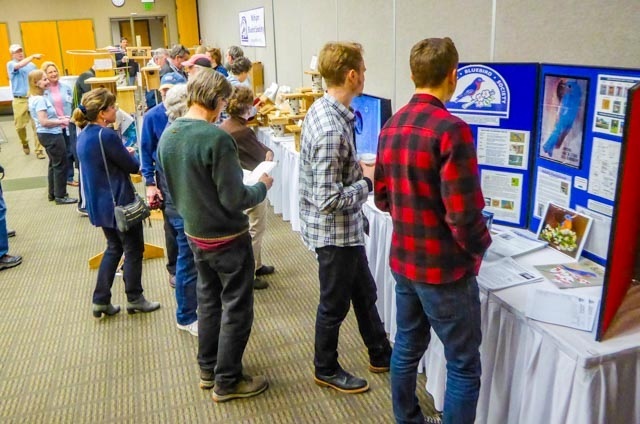 3:20-3:30 PM - BREAK - Stretch your legs, visit the MBS Store, the Bluebird Expo, Kids' Area, exhibitors and informational displays. .
3:30-4:30 PM - Purple Martins - Roll Out the Welcome Mat! 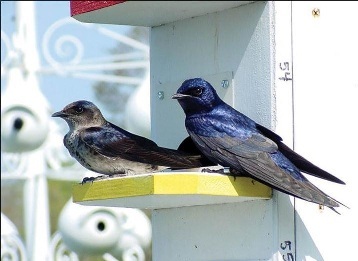 - Join Penny Briscoe who will discuss Purple Martins, the largest of the native swallows, which have been experiencing serio us declin es since the mid-1950's. Graceful in flight and experts at aerial acrobatics, these friendly birds with their cheerful song now depend solely on human-provided housing to raise their young. 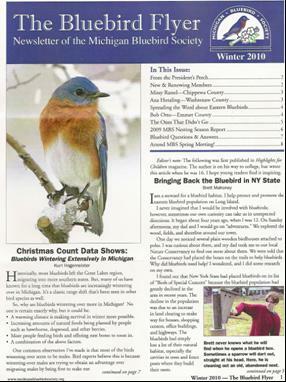 Learn about efforts to restor their numbers and r ecent banding successes. Sit tight - there will be a prize drawing immediately following this presentation. 4:30-4:45 PM - Adjourn - Before leaving be sure to make one last visit to the MBS Store and get nest boxes for this year's nesting season. Nature Hike at Bunker Interpretive Center - Naturalist led hike on the trails next door to the Prince Center. Be sure to bring your binoculars and waterproof footwear. Meet near the registration table. THERE IS NOT A WAITING LIST. We may have last minute cancellations. Please ask when you arrive at the festival whether we have any openings. 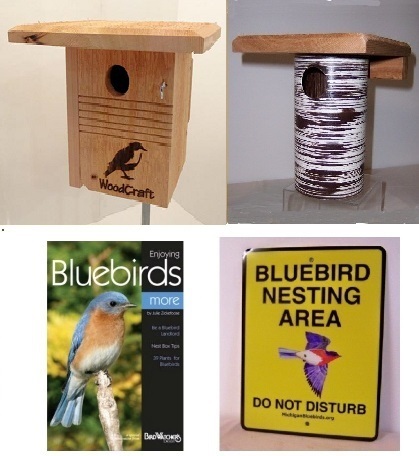 If we do have openings the cost will be $5 for the Keynote, $15 for Keynote and lunch, $25 for the Nest Box Workshop. Online (preferred): You can register for the events and pay with a credit or debit card using our secure PayPal shopping cart. Registration and payment are required for anyone who wants to 1) attend the Keynote program by Dr. Tallamy, 2) join us for lunch, or 3) participate in the Nest Box Building workshop. If you do not need to attend any of those, you DO NOT need to register. Phone: Call Gail Chapman at 815-730-1194 and leave a message with your name, number of people attending who will be having lunch, or just for the Tallamy program. If you want to attend the workshop, leave that info too. Provide your phone number and she will call back providing instructions how to send in payment. She can NOT accept credit card payments over the phone. Mail: It is now too late to use the mail in option. Please register online or call Gail at 815-730-1194. Refund Policy: We will refund your money if you decide to cancel, up until March 21st. After that, any funds collected will be considered donations. The easiest way to get to the Prince Center coming from the east is by taking the 28th Street exit from I-96 and then going west. Go several miles until you come to E. Beltline (44) and then turn right (north). Go several miles north until you reach the Calvin College campus. Watch for signs for Prince Center. Turn right onto Campus Drive and then right again. Follow it a short distance up the hill to find the Prince Center on the left. Coming from the west on I-96, exit at Beltline Avenue and go south. You will find Prince Center about 3 miles down on the left. Click on the link below for a map of area. 1. Prince Center: 1800 Beltline Road SE, (616) 526-7200. Stay right where the festival is! Room rate is $150 per night, plus applicable taxes. Amenities include a free continental breakfast, free coffee 24 hours per day, wireless internet, laundry facilities and a fitness center. Please make your reservations by February 29th. 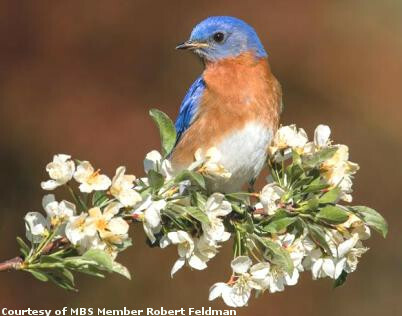 Be sure to mention the Michigan Bluebird Society when making your reservations. 2. Sleep Inn & Suites: 4284 29th Street, (616) 975-9000. Room rate is $84.60 per night, plus applicable taxes. This is a smoke-free facility. Amenities include free parking, HDTV, a coffee maker, refrigerator and microwave in each room and a fitness center. Please make your reservations by March 9th. 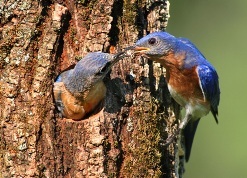 Be sure to mention the Michigan Bluebird Society when making your reservations.